The eighteenth century was an age when not only the aristocracy but a burgeoning middle class could enjoy a remarkable flowering of the arts. But it was a man's world; any woman who wished to succeed as an artist had to overcome numerous obstacles. In a society in which women were required to marry, reproduce, and conform to rigid social conventions a professional artist risked becoming an object of gossip and hostility. Nevertheless, for a woman who had charm and good looks, was ambitious, and allied talent with hard work, success was attainable. 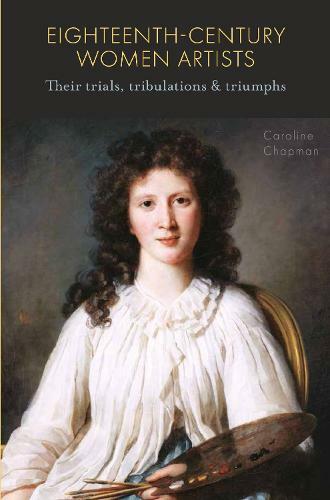 This book examines the careers and working lives of celebrated artists like Angelica Kauffman and Elisabeth Vigee Le Brun but also of those who are now forgotten. As well as assessing the work itself - from history and genre painting to portraits - it considers artists' studios, the functioning of the print market, how art was sold, the role of patrons and the flourishing world of the lady amateur. It is enriched by up to 55 illustrations in glorious colour.